Chafing can put an end to your activity, it doesn't matter if you're running, hiking, cycling or surfing - once the chafing starts, the fun stops. An anti-chafe cream forms a barrier between your skin and the cause of your issues, so make sure you use a good one. GurneyGoo was developed to work under the toughest of conditions, it works over the course of 7 day multi-terrain adventure races taking in endless river crossings, kayaking, cycling, climbing, abseiling and running/hiking so you know it's going to work pretty much anywhere you can take it. And it will keep working for you hour after hour, day after day. Chafes often build up wherever your skin gets wet - sweat or water will do it - and anywhere there is movement of skin on skin or skin on clothing you can get problems. Surfers and tri-athletes often suffer in spots that wetsuits rub, and just the sheer length of time these activities expose our skin to water can cause these types of issue. An anti-chafe cream, such as GurneyGoo, stops the pruning and acts as a layer between your skin and wetsuit/clothing. Already taken these anti-chafe steps? Once you've resolved the above problem spots you can still get those painful rubs that stop the fun. 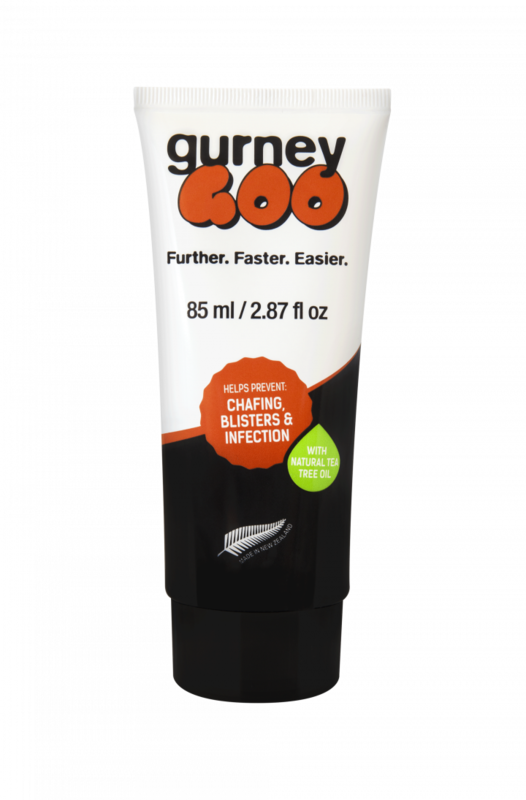 If you're doing ultra-marathons, stream crossings, getting used to a new bicycle set up or if you just suffer with rubs there is a limit to how much you can resolve these chafing issues by wearing better socks - and that's where GurneyGoo comes in and lets you go harder for longer. We've had everyone from harpists to dancers, and tennis players to ultra racers, using GurneyGoo, and it works no matter how hard you push it. The more you like to push the boundaries, the more you'll love it and the more you can do!